One of the number one reasons to buy a used car is because you won’t have to worry about it losing its value instantly. New cars lose their value once you drive them off of the lot, which can end up costing you more money in the long run. Plus, your money will go further, allowing you to get a higher model. 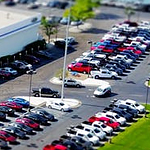 Many used cars are inspected. Some of the newer models may even have some of their original warranty on them. You can navigate the dealership in Stafford for affordable vehicles with low mileage and all of the features you want.